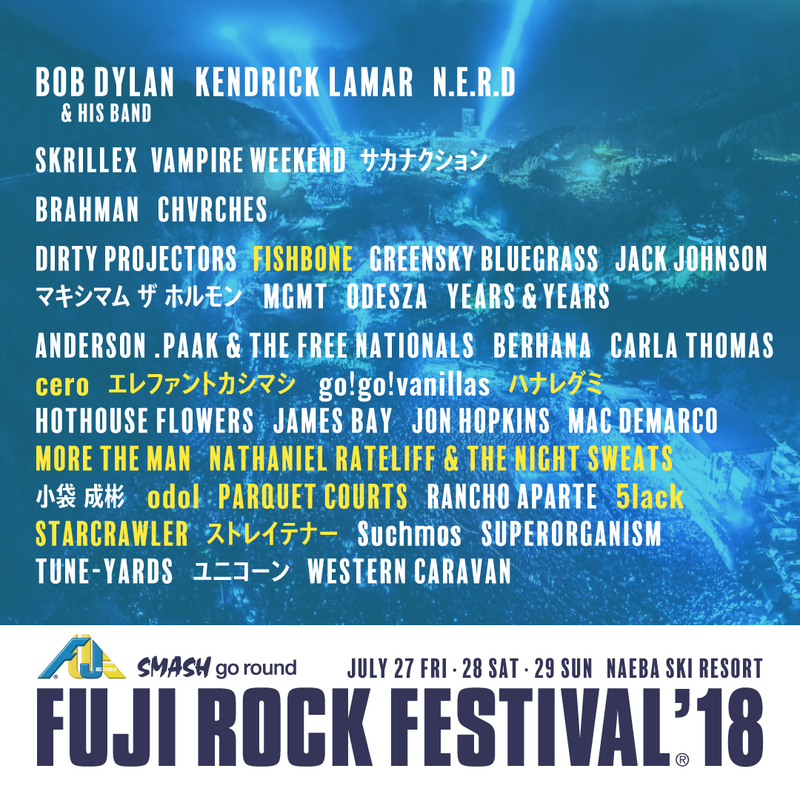 If last week’s news of Nobel Prize-winning cultural icon Bob Dylan playing Fuji Rock surprised you, you weren’t the only ones. Making his 101st appearance in Japan 40 years after his first, his announcement preceded today’s further additions to the 2018 line-up. 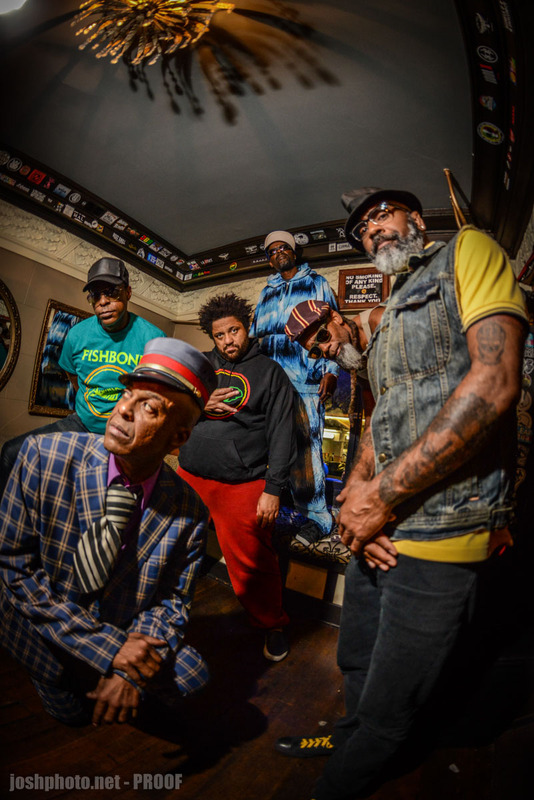 It wouldn’t be a Fuji Rock without a ska band and this year we’re graced with the presence of cult LA ska band Fishbone. The eclectic and diverse sounds of the band carried them off of their first tour supporting the Beastie Boys, as well as tours of Japan in the 90s LA contemporaries Jump With Joey, who appeared at Fuji Rock two years ago. The band boasts one of the longest lists of former band members, but is almost back to it’s original line-up for this year’s performance. Definitely worth checking out for your Ska schooling. And while we’re talking of numbers, Japanese rockers Elephant Kashimashi (Ele-Kashi) release their 23rd album this year. Formed in Tokyo in 1981, the band released their first album in 1988 and have been prolific every since with 48 singles to their name, the most recent in 2016. Meanwhile, Nathaniel Rateliff & the Night Sweats will be bringing soulful sounds to Naeba. If you’re a fan of the Alabama Shakes or last year’s Green Stage performer Rag ‘n Bone Man, this band will be right up your street. We also wouldn’t be surprised if they were being eyed for a Thursday night slot in the Red Marquee to kick the festival off properly. And finally, just to balance out all the old men on the line-up, young LA upstarts Starcrawler bring a jolt of youth along with a fuzzy, grungey punk rock that would place them at least a decade before they were born and with not small dose of sequins thrown in for added glam. Barely out of their teens, the band already have a Fuji Rock connection: front-woman Arrow De Wilde’s father is Aaron Sperske, drummer for Father John Misty, who played at the Field of Heaven last year. Tell us what you think of the line-up so far over on Facebook or in the comments below!